With a field full of talent, a formidable defending champion, and a stellar day, the stage was already set for an incredible women’s race. But nobody could have guessed just how memorable the day would be. In some ways, the 25th anniversary women’s race outshone the 100th running of the men’s, simultaneously showcasing tactics, toughness and the incredible distance the women of Boston have covered in two and a half decades. 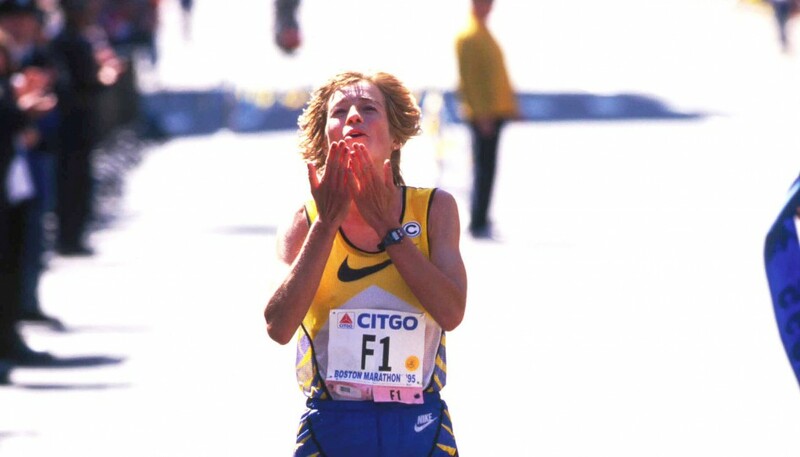 Uta Pippig of Germany toed the line as F1, seeking to become the first woman to officially win Boston three times. Gunning for her was a crowded elite division—probably the deepest ever to set foot on the course—that included Kenya’s Tegla Loroupe, two-time winner at New York who was seeking to move up from her ninth-place Boston debut in 1995; perennial U.S. challenger Kim Jones, out to avenge a DNF at the U.S. Women’s Olympic Trials; Madina Biktagirova of Belarus, third last year; and a roster of talent from all over the planet. With dry conditions and a headwind, Boston ‘96 became a tactical battle instead of a runaway record quest. Jones took the lead in the early miles before handing the honor to Fujimura. They had company up front from Biktagirova, Russia’s Alla Jilaeva, and Kenyan Saline Chirchir. Loroupe followed. Uta, who was reportedly suffering from menstrual cramps [editors note: she had stomach cramps and no menstrual problems, but was afterwards diagnosed with reverse ischemic colitis] and diarrhea from five miles on, was struggling to stay with the front-runners. By the halfway point, Franziska Rochat-Moser of Switzerland moved up to contention. The half passed with Fujimura leading in 1:11:57—a cautious pace compared to Wanda Panfil’s record 1:08:22 in 1992. Uta was never far off the lead. By Mile 15, Jiliaeva was in front, followed by Fujimura, Uta, Loroupe and Chirchir. Uta and Loroupe emerged from the group by the 128 overpass in Wellesley, and the race became a two-person mind game. After running side by side over the bridge, Uta took an uneasy lead and Loroupe fell in behind her, dodging left or right to stay out of sight when Uta looked over her shoulder. The pace duties shifted again, and Loroupe carried a slim lead into Newton. On the hills, she sensed the weakness in Uta and took off. Loroupe, who trained on hills in Kenya, threw down a 5:25 from mile 18 to 19, and passed 20 miles in 1:50:32. 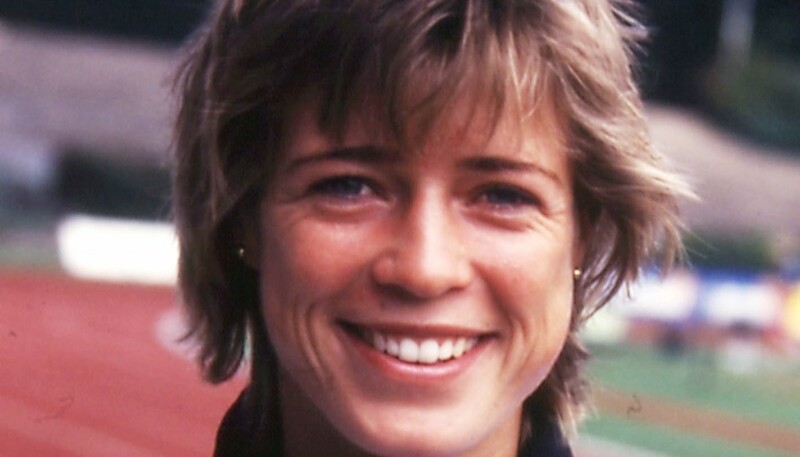 The phrase “Kenyan sweep” formed in many people’s minds: Loroupe blew open a 100-yard gap between herself and Uta, who was fading in the hills before Boston College. With a 5:32-per-mile average pace, Loroupe looked capable of blowing away the Boston field—a la New York. If she could keep the pace, she would take the win in a time of about 2:25. But it was her turn to look over her shoulder. At 35 K, Loroupe’s lead was about 200 yards, and Uta, her last challenger, had dropped off the pace and was looking visibly distressed. She was not racing well and seemed to have settled for second place. Although Loroupe ran through 20 miles much slower than Joan Benoit’s record time of 1:46:44 (1983), she looked unstoppable. 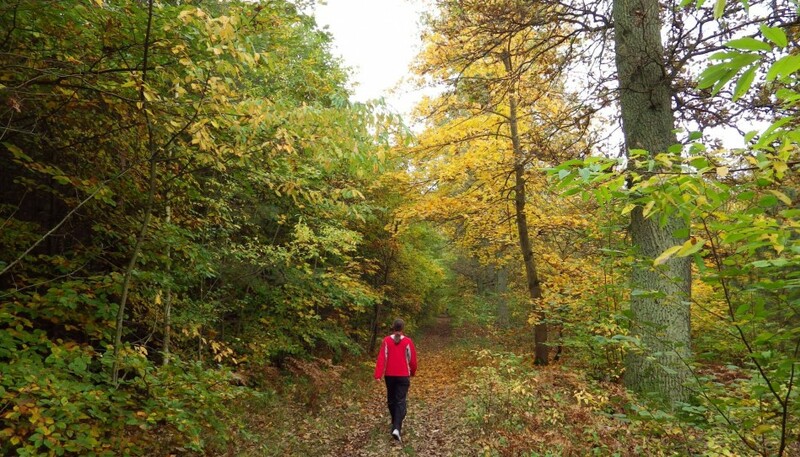 But Loroupe ran subsequent miles in the following times: 21 miles—5:56; 22—5:31; 23—5:53; 24—5:57; 25—6:32. Uta, to her surprise, found herself stumbling toward the lead. “I heard the crowd roaring, but there was nothing I could do” Loroupe said after the race. “I could not move my legs.” Energized by the loud crowds and Loroupe’s flagging stride, Uta bolted. But she also realized that Loroupe might challenge, or sprint away and out of reach. Uta’s racing instincts told her to pass strongly and decisively. She did. From the passing just before the 25-mile mark to the finish, Loroupe lost a minute and 25 seconds. Those numbers indicate a last mile of close to 8:00. Although it appeared to television viewers that Uta burst past Loroupe with a big increase in speed, the reality was the opposite. Uta may have accelerated 10 seconds per mile, but Loroupe had lost minutes. When Uta found herself clear of Loroupe, she could not believe that the lead she thought she’d lost for good was again hers. She expressed her shock in an open-mouthed mug at the TV crew on the lead vehicle. For the final two miles, Uta was smiling again, but the strain of the race mixed with the joy on her face. Clearly still respectful of Loroupe, Uta kept looking over her shoulder—both shoulders—trying to pick out her nearest rival. As she neared the finish, the pain evaporated from her face, and after miles of agony, Uta finished the 100th Boston joyfully, clocking 2:27:12 and joining Roberta Gibb and Sarah Mae Berman as three-time winner—and becoming the only woman to do so “officially”. Loroupe held on to second, besting Fujimura, 2:28:37 to 2:29:04. Sonja Krolik of Germany moved up to take fourth in 2:29:04 and Larisa Zouzko was fifth in 2:31:06. 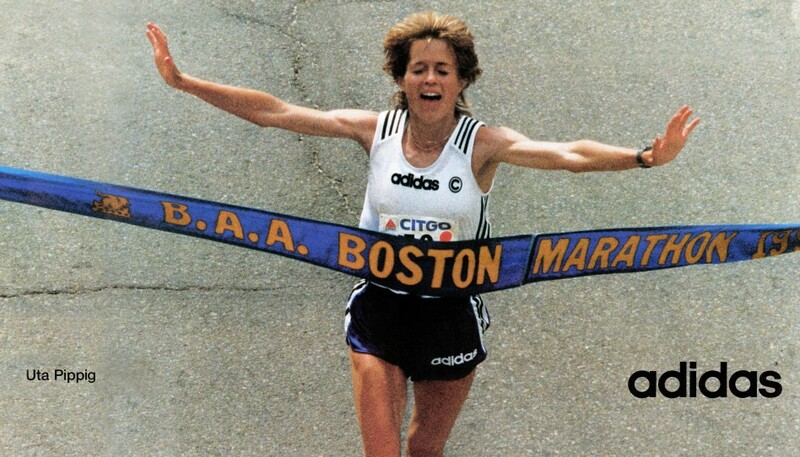 Thirty years after Gibb became the first woman ever to run Boston, Uta’s run only made public to a wider audience what most athletes already knew—that toughness, grace, and poise can coexist.